Home > A social network for luxury travel? A social network for luxury travel? 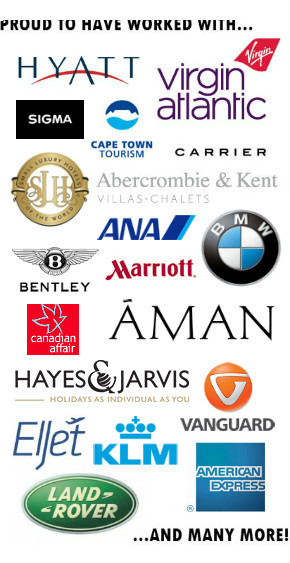 The Haymarket Group – the people behind the UK trade publication Luxury Travel Magazine – recently contacted me, requesting that I complete a survey for “an online social network for the world’s leading buyers of luxury travel products and services”. I have seen a lot of niche social networks – some for travel – spring up over the past few months, and I must say I have my doubts about them. There’s only so many hours in the day and only so many social networking sites that I can physically partake in. What’s wrong with Facebook (which happens to be my site of preference at present)? There are niches within it that already cater for various aspects of the luxury travel industry. What am I missing? It’s called Dopplr and it’s getting better. The Luxury Travel Magazine could do a lot worse than piggyback or come to an agreement with Dopplr. p.s. as I said Dopplr is getting better, though it ain’t perfect, or anywhere near that yet. I don’t know about Dopplr, but are fancying Twitter lately. I’m suffering info overload from social networking. As Paul says, there are only so many social networking sites you can physically participate in regularly. I got tired of it very quickly and have gone back to visiting a few forums and blogs. Nowadays my social networking is limited to Facebook, Twitter and a handful of forums. I think it’s better to have a significant presence on a handful of outlets than it is to spread yourself too thinly across many different places. agreed social networking can quickly take over your life and is getting worse with companies jumping on each bandwagon and new networking tools being invented. think we all need to be choosy and regulate what is best for our own lives!